Marta Lempart Marta is an academic and a writer, with articles to her credit on Ecological Engineering. She is also a women’s rights activist and a democracy defender. 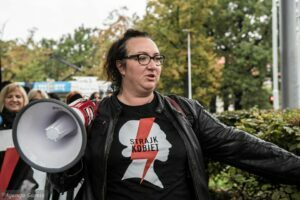 She spearheaded the help committee of the Polish Women’s Strike – a hugely successful action in 2016 that defeated Polish government plans to introduce a total abortion ban in Poland, in addition to criminalizing women for miscarriage, and banning divorce. Marta also helped to found the International Women’s Strike, and is one of the founders of the Pro-democratic Coalition. Ailbhe Smyth Ailbhe is an Irish academic, feminist and lesbian activist. She was a founding director of the Women’s Education, Resource and Research Centre, University College Dublin. Ailbhe spearheaded the organization of the “Repeal the 8th” campaign, to repeal Ireland’s restrictive 8th amendment banning abortion entirely there. 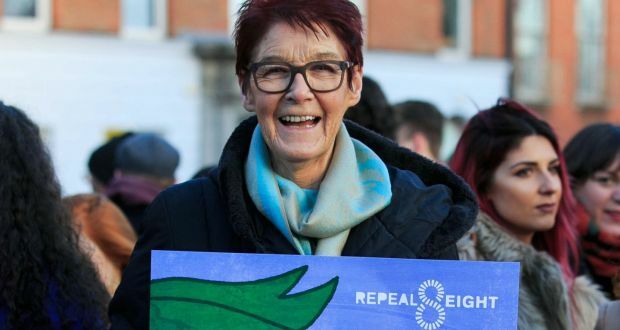 She helped to bring together organizations across the spectrum in Ireland, for the successful Together for Yes campaign – repealing the 8th amendment and bringing abortion care and reproductive health to Ireland. Sara Hutchinson Ratcliffe After earning a degree from George Washington University in Washington D.C., Sara worked on tobacco control policy and women’s health issues at the state and federal level. 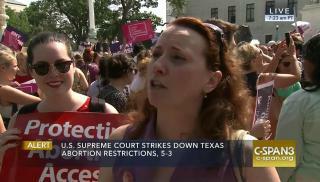 She joined Catholics for Choice as an advocate, and has developed CFC policy and activism for over a decade. Sarah Flores Shannon Sarah is a youth coordinator for the national Latina Institute for Reproductive Health. She is a youth herself, fresh out of college with a degree in Anthropology and a certificate in Reproductive Health. Sarah’s mother was born in Cuba, and Sarah honors her own background deeply, choosing to work in the Latina-Latino community in the United States.